The Seattle Art Museum‘s exhibition Rembrandt, Van Dyck, Gainsborough: The Treasures of Kenwood House, London, about which I have written here and here and here, ended today. Last Tuesday evening, we made one last visit. Within the neoclassical Kenwood House at Hampstead Heath on the outskirts of London, resides a magnificent painting collection known as the Iveagh Bequest. Kenwood is home to an exceptional collection of Old Master paintings, including major works by Gainsborough, Hals, Rembrandt, Reynolds, Romney, Turner, Van Dyck, and many others. The Iveagh Bequest was donated to Great Britain by Edward Cecil Guinness, 1st Earl of Iveagh (1847–1927) and heir to the world’s most successful brewery. Rembrandt, Van Dyck, Gainsborough: Treasures of Kenwood House, London, a selection of approximately 50 masterpieces from the collection, will tour American museums for the first time. Among other treasures, the exhibition provides a rare opportunity to see Rembrandt’s late Portrait of the Artist (ca. 1665), which has never left Europe before. The Earl of Iveagh’s personal collection was shaped by the tastes of the Belle Époque—Europe’s equivalent to America’s Gilded Age. His purchases reveal a preference for the portraiture, landscape, and seventeenth-century Dutch and Flemish paintings that could typically be found in English aristocratic collections. Since the earl was a newcomer to London emigrating from his native Ireland, he may have selected works that would help him fit in with his peers and elevate his social standing. Kenwood House is a property of English Heritage, described at its website as “the Government’s statutory adviser on the historic environment.” On our first visit, we toured the exhibition with Susan Jenkins, senior curator for English Heritage. Our second tour was led by Chiyo Ishikawa. This time, we had the pleasure of touring the exhibition after hours with SAM’s new museum director, Kim Rorschach. We hadn’t realized on receiving the tour invitation that eighteenth-century British paintings were the subject of Kim’s doctoral work at Yale some years ago. As she explained when we reached the heart of the exhibition, the portraits of Reynolds and Gainsborough, she spent a year in London during her graduate studies, living near Hampstead Heath and visiting Kenwood House almost weekly. Thus it was a special treat for her, on assuming the directorship last fall, to come just in time for the arrival of some of her old friends. 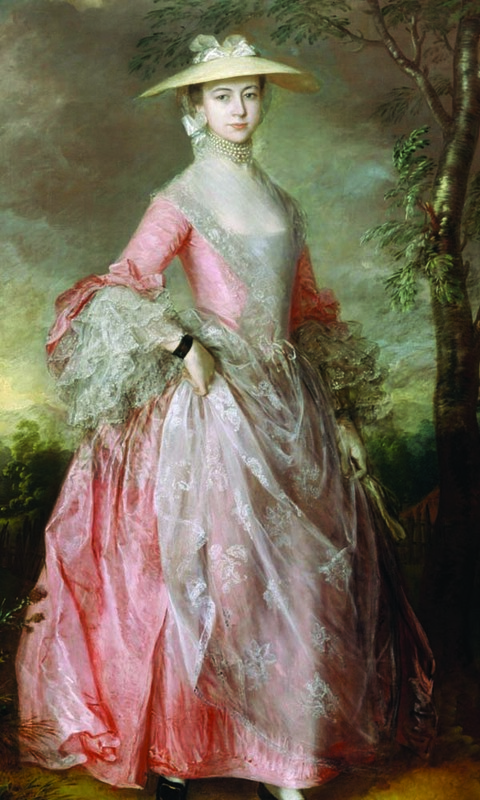 Kim focused on several of the same paintings that Susan and Chiyo had stopped in front of on the earlier tours, such as Gainsborough’s portrait below (circa 1760) of Mary Countess Howe. Like Chiyo, Kim is more partial to Gainsborough than Reynolds, and she especially admires this portrait. She took us through it in some detail. 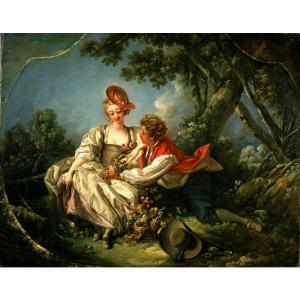 In the next room, while Kim talked about two Gainsborough landscapes, my eye wandered to the two side-by-side paintings by François Boucher, which I somehow had missed on previous visits. 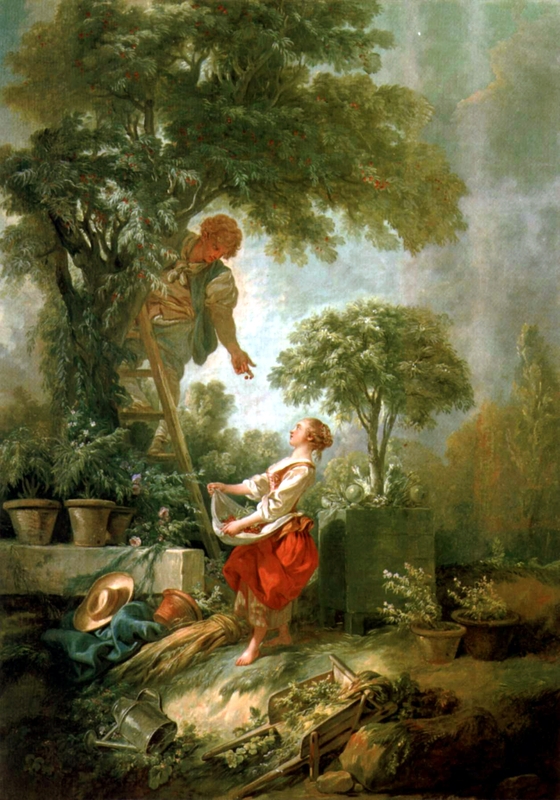 As Kim walked the group to the second Gainsborough, I moved into the space that opened up in front of The Cherry Gatherers and realized that it was really quite wonderful. And different from much else in the exhibition. the perfect moment to reveal some of the extraordinary collecting of European painting that has been quietly taking place in Seattle over the last 20 years. European Masters: The Treasures of Seattle features 34 paintings, all from local collections, which will share the special exhibition galleries with the 48 paintings from Kenwood House. a permanent art installation for the façade of SAM by artist Doug Aitken, that will become a new landmark in downtown Seattle. MIRROR is an urban earthwork that changes in real time in response to the movements and life around it. At the unveiling, guests will experience an unprecedented performance with synchronized choreography of MIRROR in relation to compositions by minimalist composers Steve Reich and Terry Riley. Mr. Riley will be in Seattle for the performance of his monumental work In C, featuring musicians from the Seattle Symphony Orchestra and Stuart Dempster, faculty at the University of Washington School of Music, who performed with Riley for the original debut of In C in 1964. Gail and I looked out the window at MIRROR from time to time, chatting with other guests and eating hors d’oeuvres in between. I talked about the Boucher paintings with Kim, who agreed that they stand out from the others that Guinness collected. And another guest told us about concerns the owners of condos in the building to the north of the hotel have about MIRROR. Much as we enjoyed the view out the windows, we don’t live there. Those who do are less excited. Arrangements will have to be made. That was that. Farewell to Kenwood House. The next major SAM exhibition, opening late next month, is Future Beauty: 30 Years of Japanese Fashion. Quite a change of pace. I suspect I won’t be writing four posts about it.